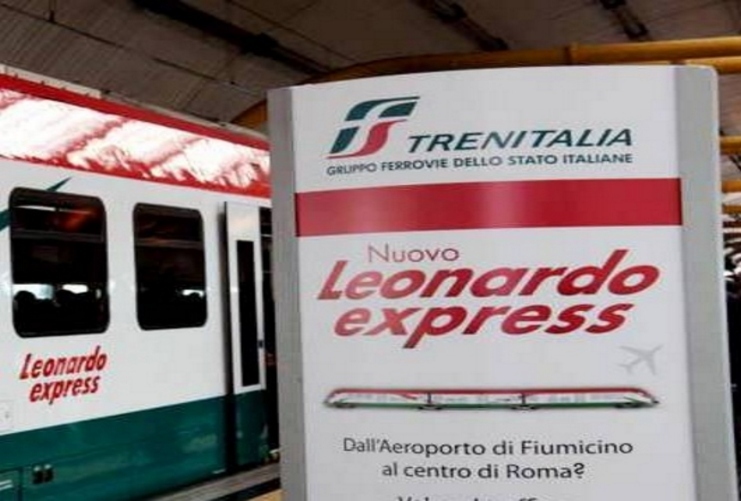 At Fiumicino airport follow the sign for trains and drop on the train FL1 (from Fiumicino Airport to Fara Sabina). 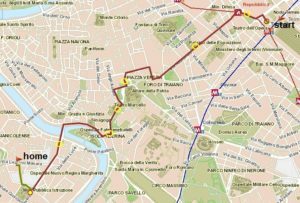 After these stops: Fiumicino Aeroporto-Parco Leonardo-Fiera di Roma-Ponte Galeria-Muratella-Magliana-Villa Bonelli it will be Roma Trastevere stop and you have to dropp off. Travel time around:30 min. Cross the square and on the left side you will find the tram-bus stop n. 8; drop on and drop off at the 4th stop (on the left side there is a big white palace with classic columns named “Ministero della Pubblica Istruzione”). Cross the way in the direction of the palace, turn around the palace leaving it on your left; after 100 meters, turn on right and enter into San Cosimato square. Straight on and, at the end of the left side of the square, on your left, there are Trastevere Apartment and Studio. 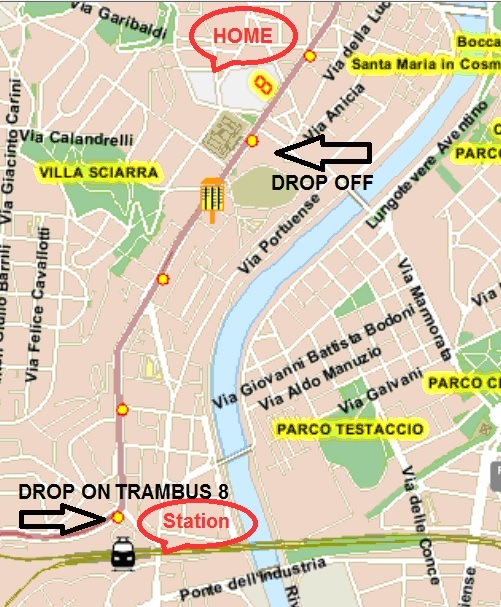 You can buy the ticket for the tram-bus 8 at the newspaper seller into Trastevere station. Price train 8€/person. Price bus:1,5€/person. 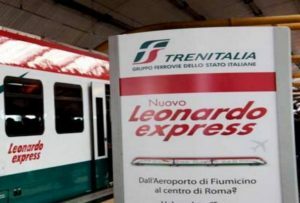 At Fiumicino airport follow the sign for trains and drop on the train Express Leonardo Fiumicino Airport to Termini Central Station. 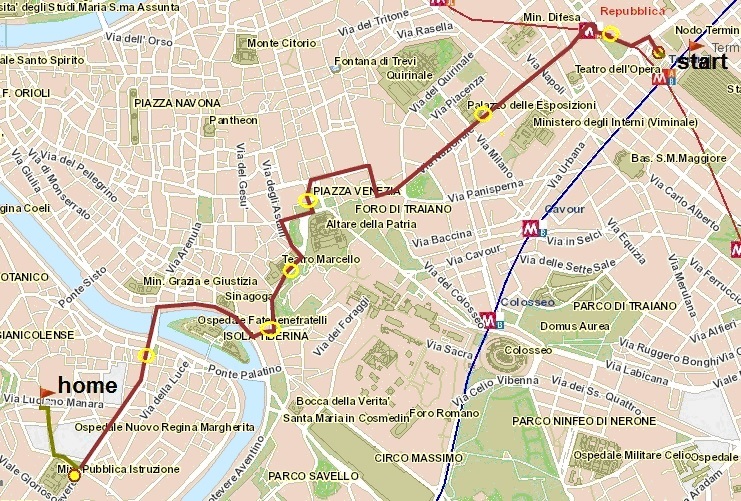 Is a NOSTOP train that goes directly to Termini Central Station. Frequence: every 32min; travel time: 30min. 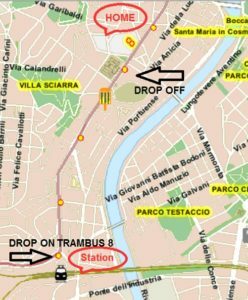 From Termini Central station, cross the square looking for the buses stops and drop on the bus n.H (direction Dei Capasso); dropp off at Ministero della Pubblica Istruzione (7 stops, around 4,5km). On the right side there is a big white palace with classic columns named “Ministero della Pubblica Istruzione”. Dropp off and go on your right side turn around the palace leaving it on your left, after 100 meters, turns on right and enter into San Cosimato Square. Straight on and, at the end of the left side of the square, there are Trastevere Apartment and Studio. 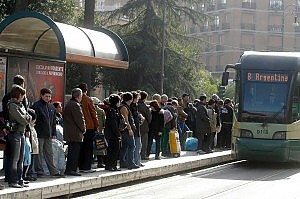 Price train 8€/person; price bus:1,5€/person.